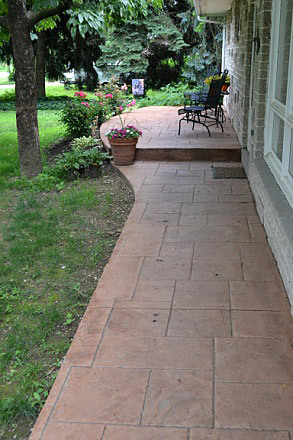 Sidewalks are an essential aspect of most residential landscapes. 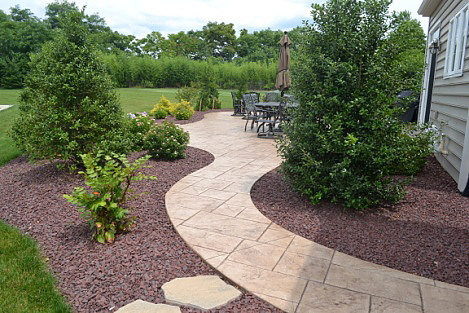 Having these features installed is one of the best ways to navigate various outdoor areas on your property, without having to trample on lawn spaces. 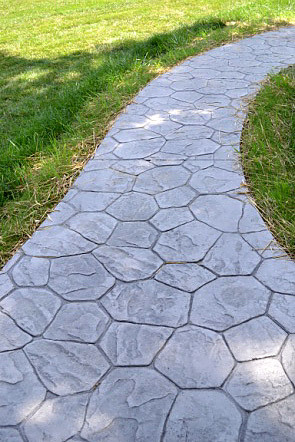 Many homeowners wonder which material would be best for their sidewalk installations; while there are a large number of new materials on the market, concrete continues to be a popular choice for sidewalk installations. 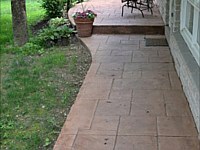 Dan-Tam Concrete is one of the most reputed companies in the stamped concrete field. We cater to clients the Dillsburg, PA and the surrounding areas. 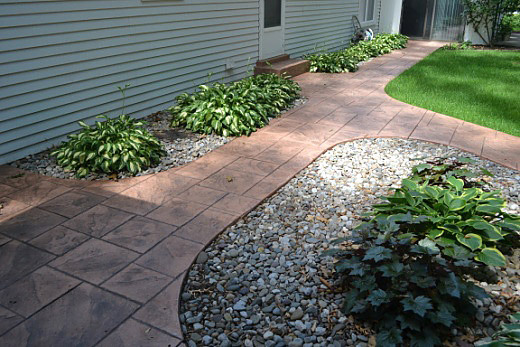 You now have the opportunity to match your sidewalks to the rest of your decorative concrete to add to the curb appeal of your home. You can use the same pattern or pick something entirely different. 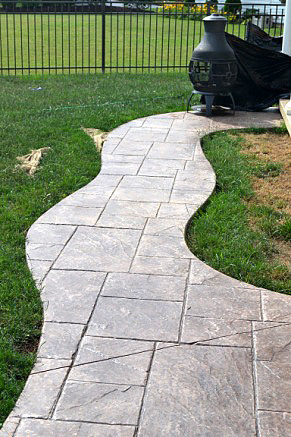 The best part about Stamped Concrete is, it's all up to you! 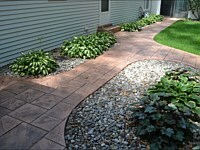 Creating superb concrete sidewalks is something we do with a great amount of attention to detail and skill. We have been operating in this industry for almost 30 years and can handle the installation of new concrete sidewalks or sidewalk replacement projects as well. Our stamping techniques, the materials we use and efficiency and speed with which our professionals handle the work are unmatched in the region. Concrete is an extremely hardy material. 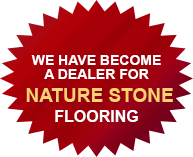 When installed by experts like us, using the latest techniques and the best products, you can rest assured that the feature will last for decades. You can choose from a range of colors and even make sure that the right pigments are used in the installation. 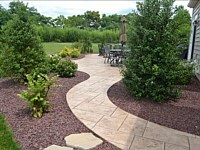 This gives you the opportunity to create the kind of look you want in the outdoor spaces of your home. We are extremely creative in our approach and concrete is a very versatile material. 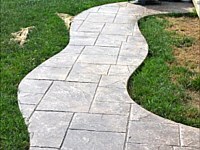 Our team is skilled enough to create unique concrete patterns and designs on your new concrete sidewalk. These features are extremely easy to maintain, which reduces the amount of trouble and money you spend on them. 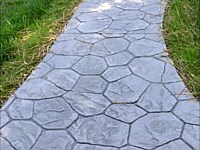 This also means that the overall cost of ownership of a stamped concrete sidewalk is considerably less than many other materials used for these installations. We are a customer-centric company that makes sure our clients get the best value for money. Our commitment to quality and the fact that we offer very cost-effective solutions is what set us apart from many other local concrete installation companies. 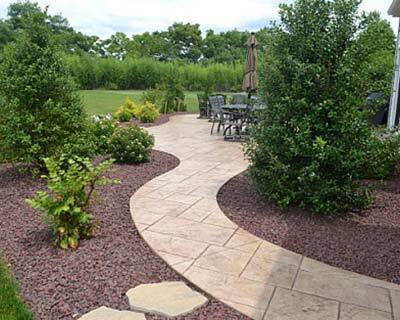 If you want custom concrete sidewalk installation solutions, feel free to contact Dan-Tam Concrete at (717) 528-7133. You can also send us your queries and project specifications via this Contact Us form and we will revert shortly to have detailed discussions about your requirements. Over the years, increase in demand and popularity have led the stamped concrete industry to become a very competitive market. In order to keep up with the competition some contractors have adopted unconventional tactics to lure customers in.